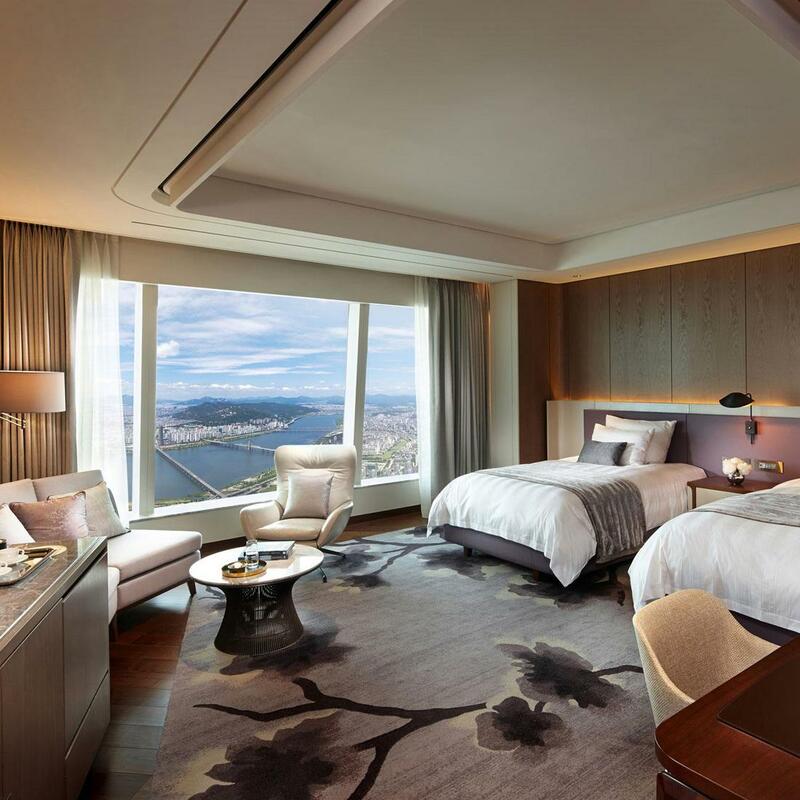 Brintons is proud to have supplied an extensive flooring solution to Lotte Hotel and Resorts' Signiel Seoul, Korea's first luxury landmark hotel, in the supertall skyscraper - Lotte World Tower. 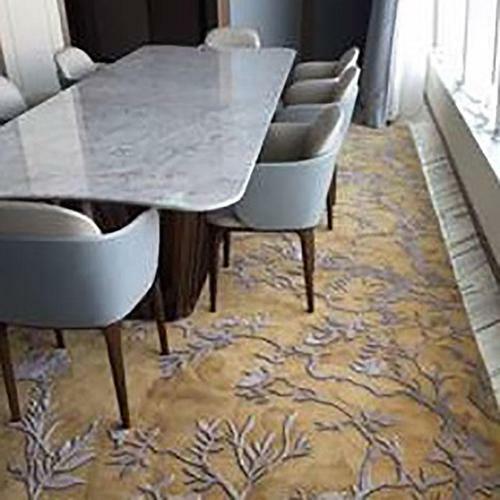 Brintons, together with globally acclaimed interior design firm Wilson Associates and distribution partners Younghan Trading, developed 5,800 sqm stylish woven wool Axminster carpets and 3,800 sqm of luxurious hand tufted rugs for the prestigious hotel. 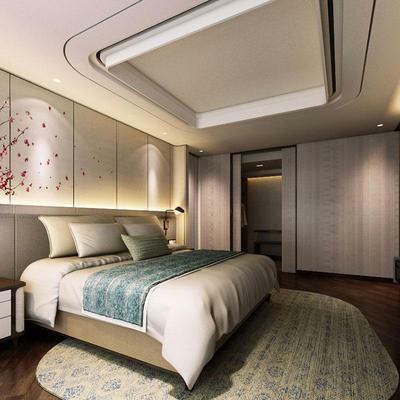 The Signiel's chic interior harmoniously blends the beauty of the East and the West. The interiors bring together a modern aesthetic infused with historical and cultural Korean influences from art, ceramics and calligraphy. 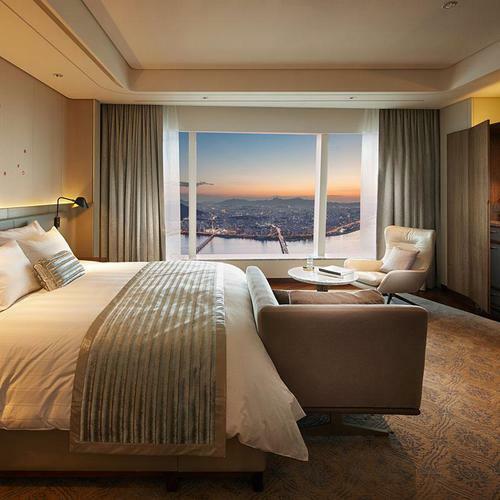 The 235 guestrooms are furnished with beautifully drawn Brintons woven Axminster carpets - inspired by traditional Korean art forms. Beautiful blossoms, traditional tapestries and stylised abstract patterns decorate the hand tufted rugs in the 42 suites. 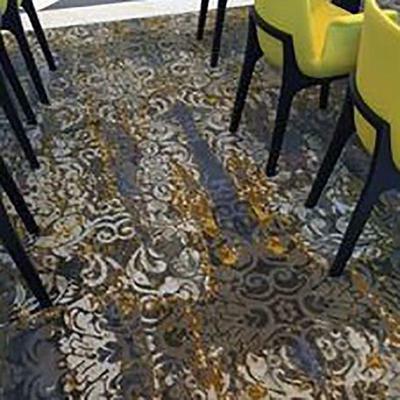 The hand tufted rugs, thoughtfully and meticulously designed with traditional brush stroke intricacy, offer guests the most sumptuous luxury underfoot. 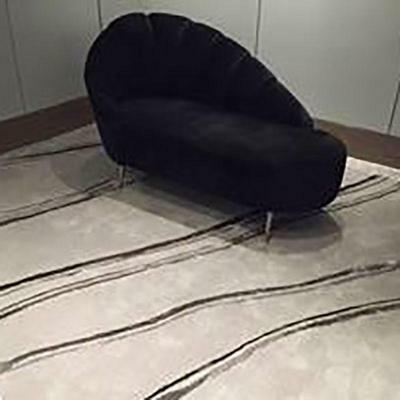 Brintons high performance woven Axminster carpets and luxurious hand tufted rugs are also used in the hotel's resplendent Grand Ballroom, public areas, guest and members club lounges, song room, bridal room, lift lobbies and powder rooms. 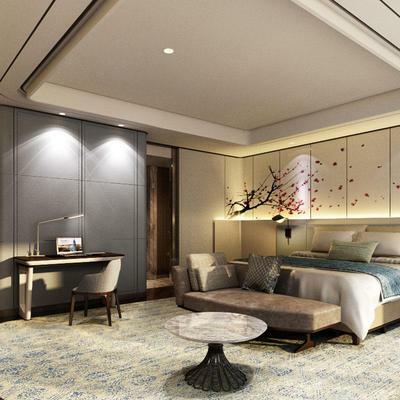 Brintons provided a full sampling and project management service to the Signiel Seoul project to support the creative design and planning process, including design print outs, floor plans and woven trials.